« Are we fat because we eat too much, or do we eat too much because we are fat? Wow! I am impressed – I think I am a long way off daring to tackle such a project. Bet the broth they make is the healthiest thing EVER though!! I just run each individual foot under cold water until it’s clean. 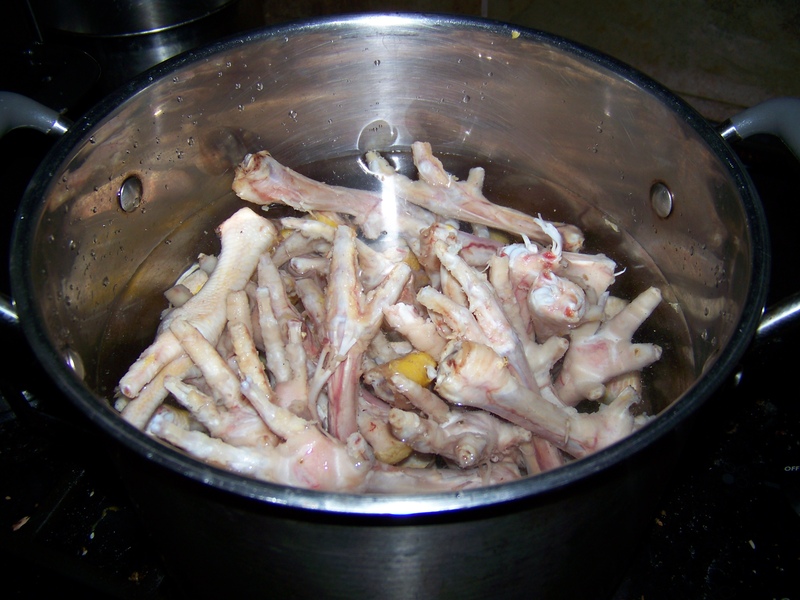 Then I throw the feet, usually a chicken carcass, a couple pieces of celery and a few carrots into the crock pot. I also add fresh parsley for added minerals. Turn it on low and let it cook for 48 hours. 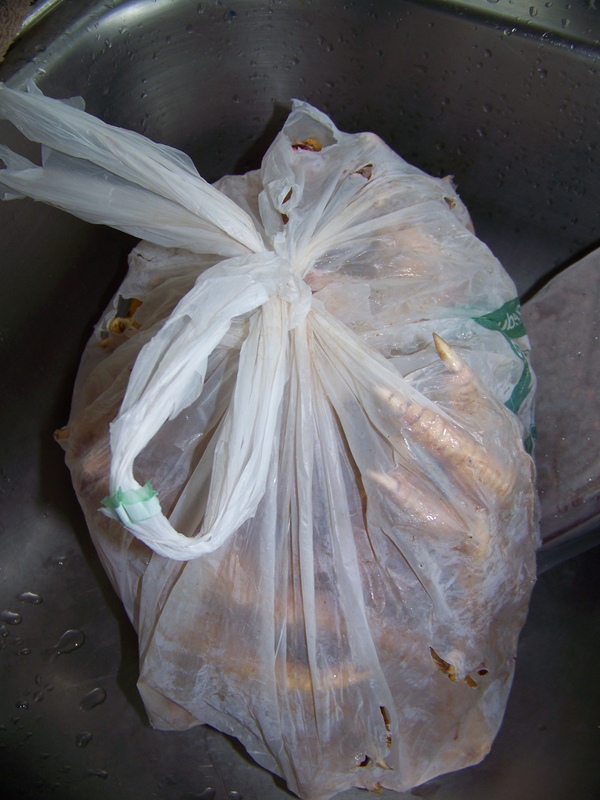 Strain out all the gunk and give it to the dog. The remaining stock is delicious! 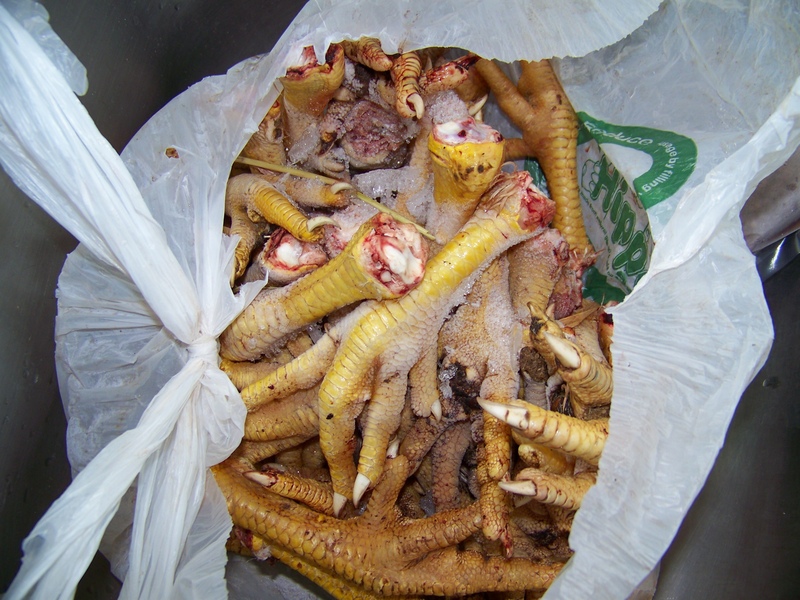 It’s funny, the farm co-op where we buy our food, sells out of chicken feet and cow liver in the first two weeks after slaughtering season. Isn’t that hilarious that the weirdest foods are the healthiest…. I don’t remove the skin, and I just use a fine metal colander. I hold the colander of a canning jar and strain it right into the jar. Then after it cools I put a couple in the freezer and a couple in the fridge. 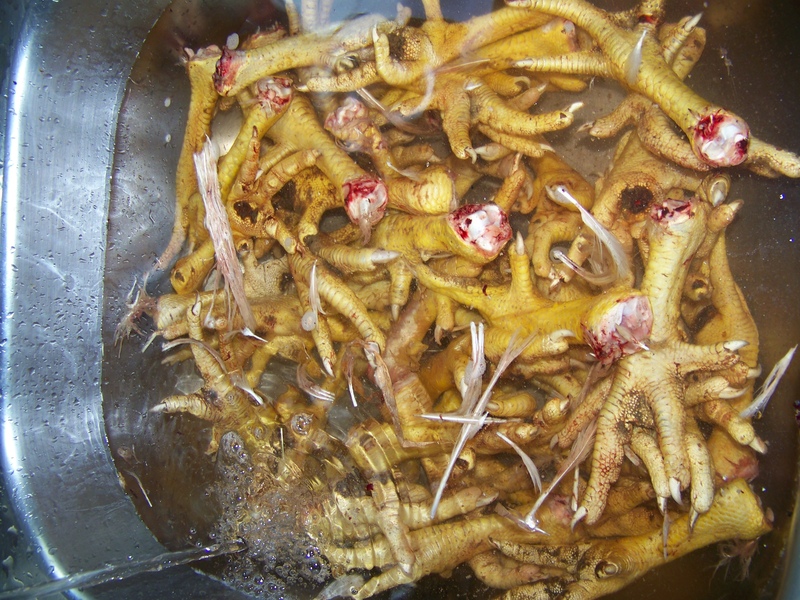 My crockpot makes 4 quarts, and I use 5-6 chicken feet for that amount. Don’t forget to add 1/4 cup of vinegar to the cold water and let it sit for 30 minutes before turning on the heat. That help acidify that water and draw more minerals out of the bones. Thank you for this recipe. 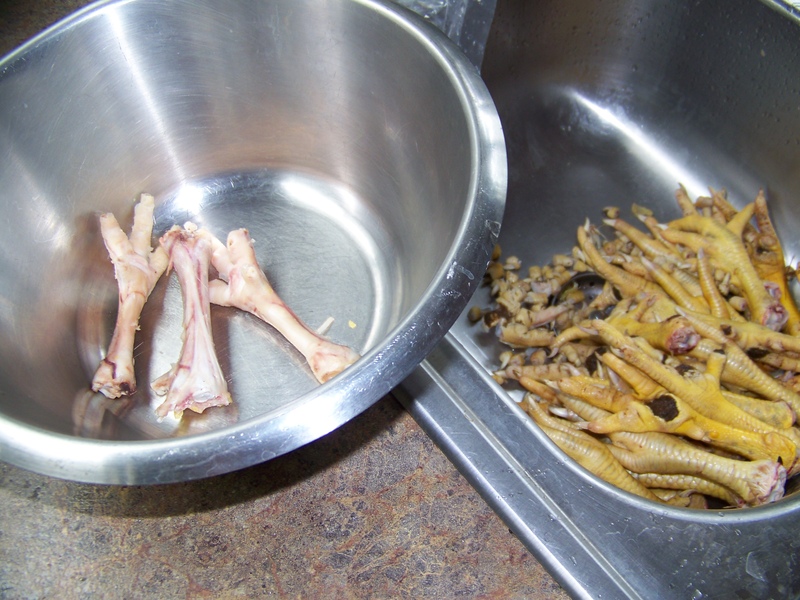 My fiancee is a big fan of chicken foot soup. Here’s the recipe that is used in her hometown of Xindu, Guangxi, China.